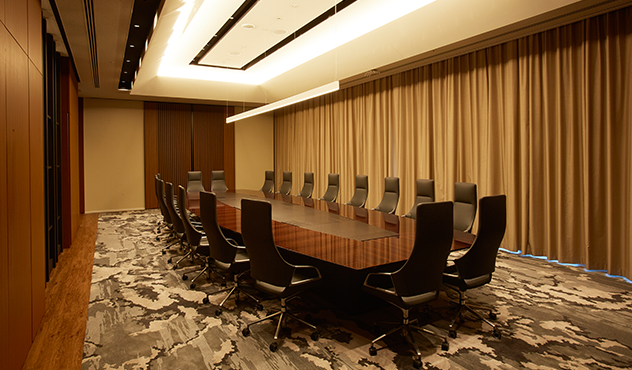 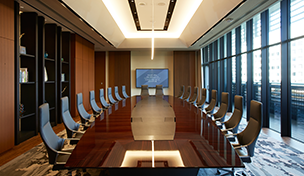 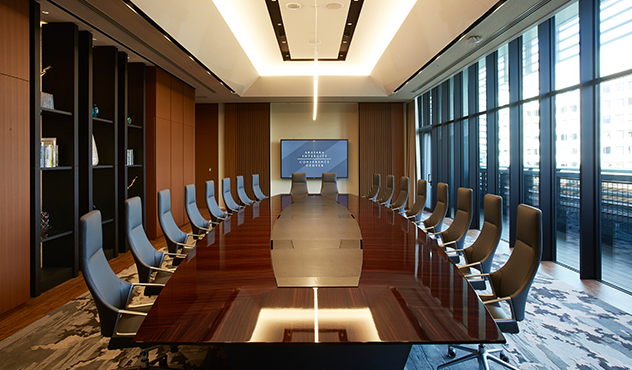 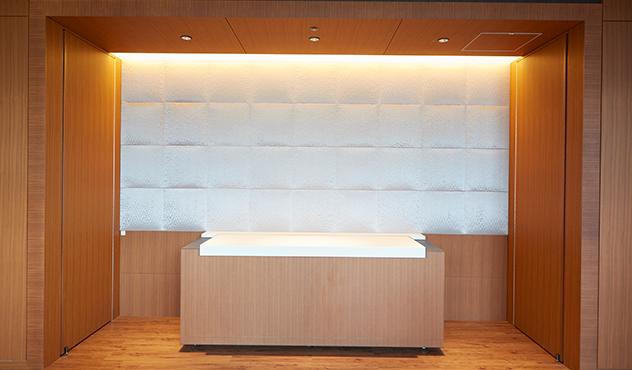 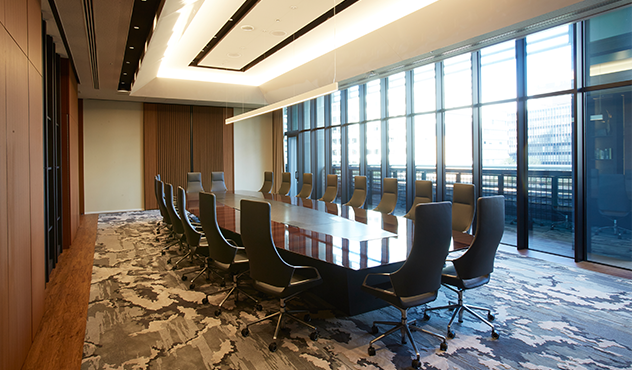 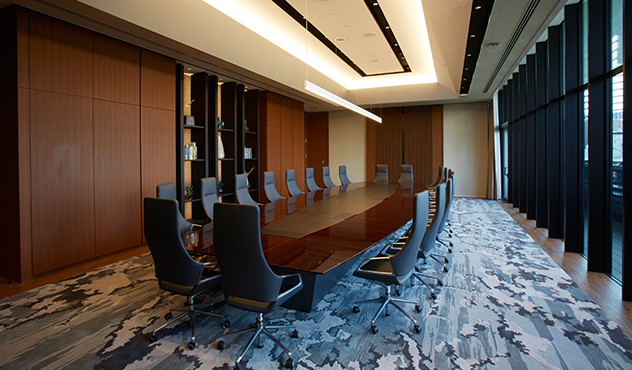 An executive boardroom with a pre-function room. 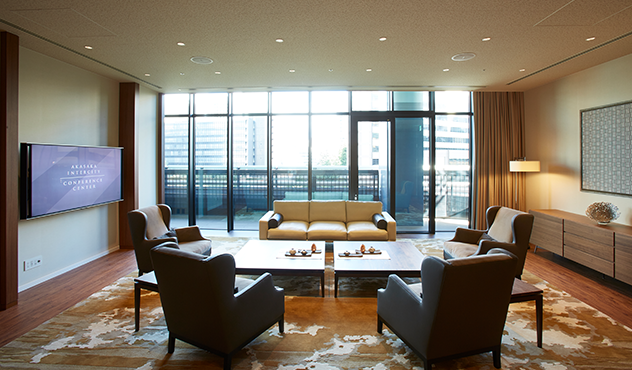 Direct access from covered driveway and peace-of-mind security. 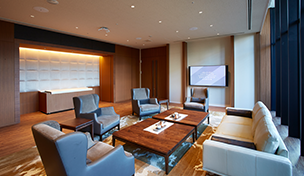 Fully equipped a pre-function room that can be used as break spaces and waiting rooms. 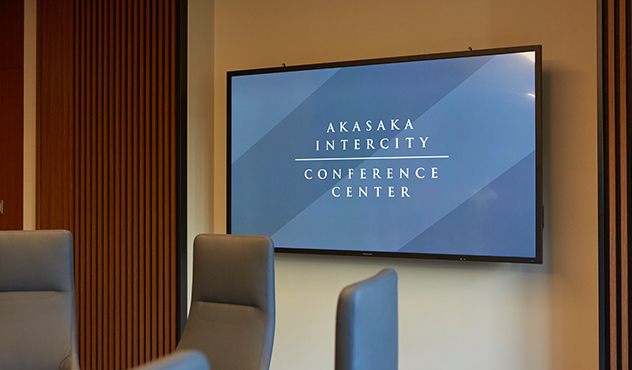 Fully equipped with large 98-inch monitors. 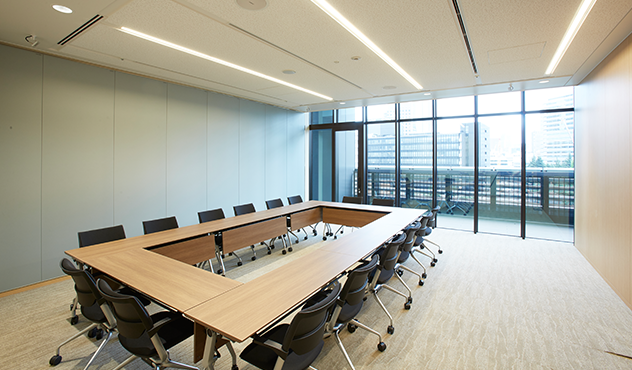 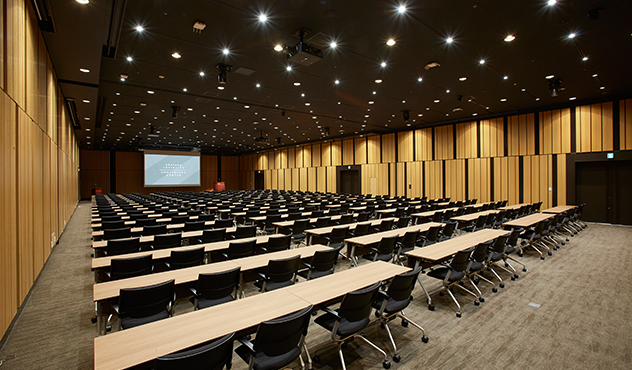 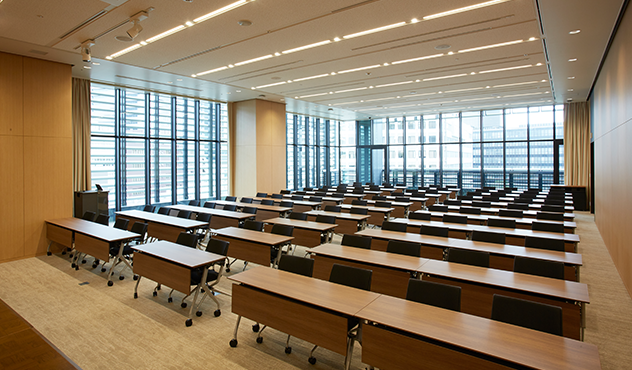 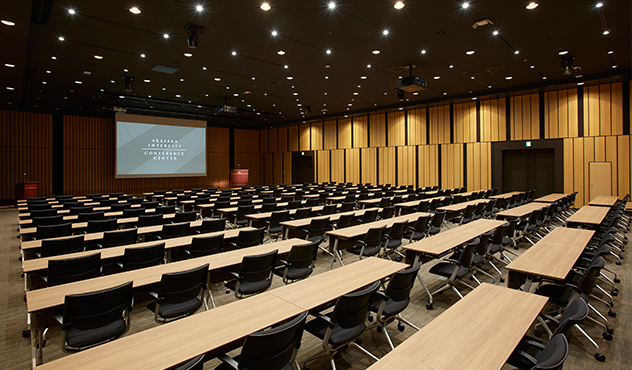 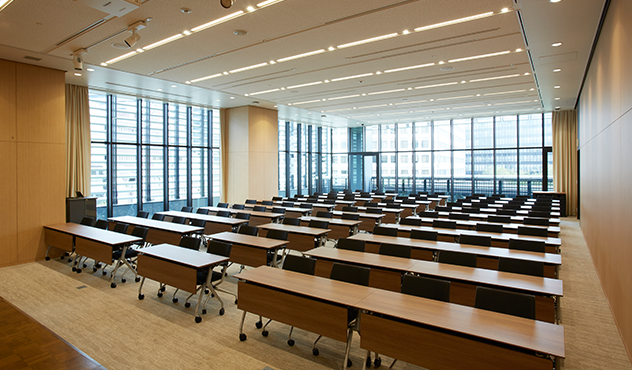 This room provides an optimal, high-class ambience for confidential meetings and business meetings, as well as for training sessions where as many as twenty people can exchange views and ideas. 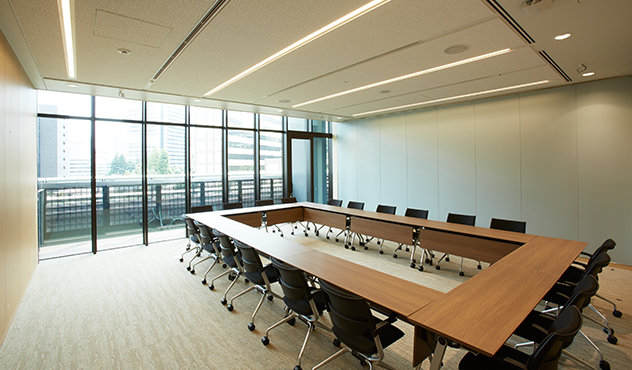 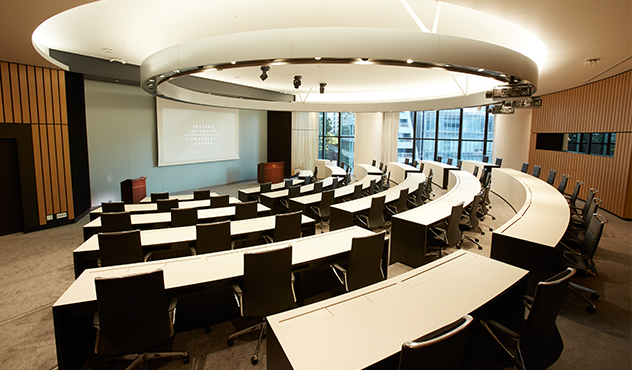 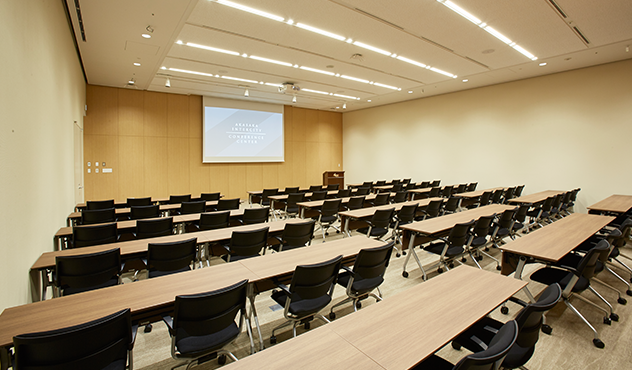 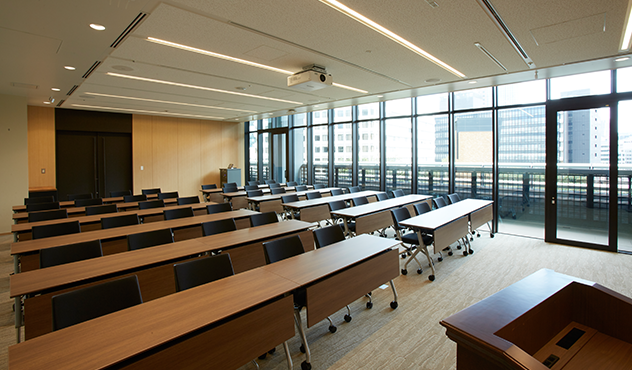 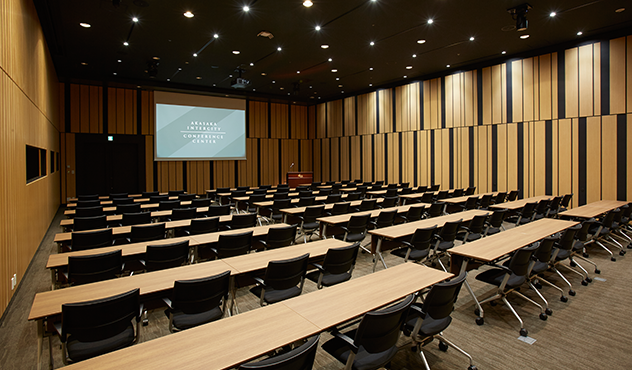 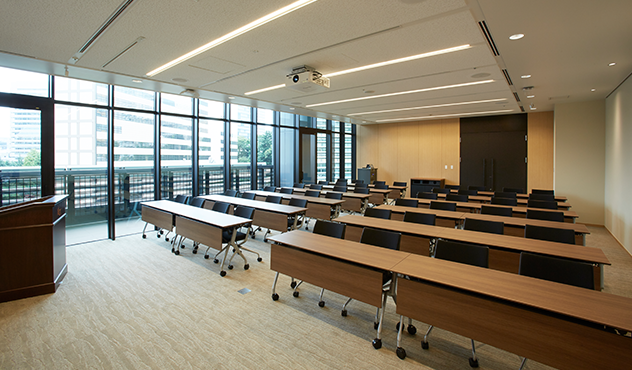 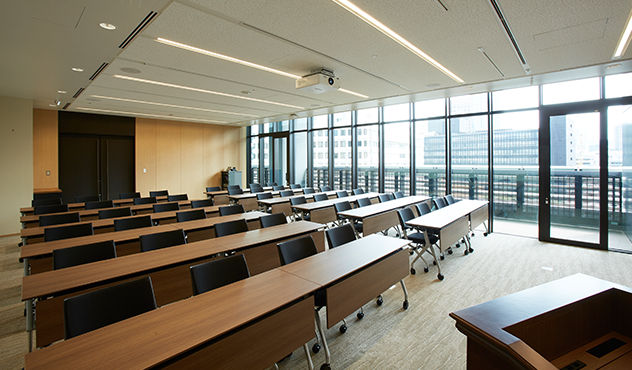 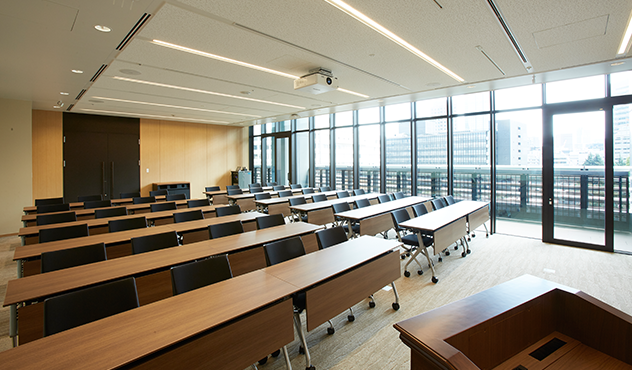 In addition to a full-sized conference room equipped with a large 98-inch monitor, a pre-function room is available for use. 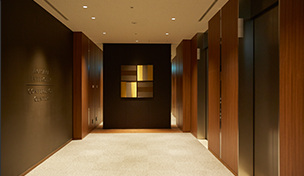 We can confidently welcome VIPs from both Japan and abroad to this high-security area that permits direct access from the guest drop-off area. 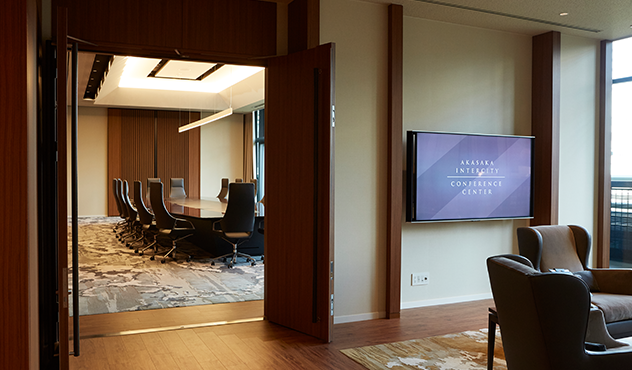 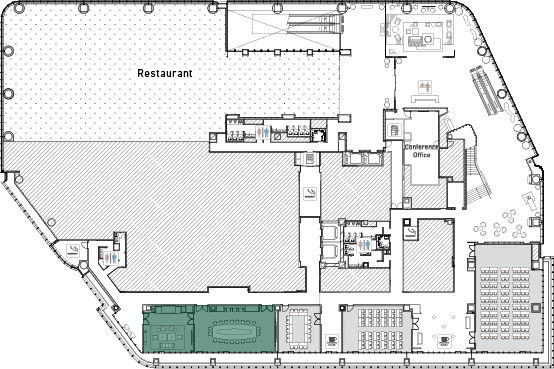 Also, the pre-function room can be used as both a waiting room and a space for coffee breaks and receptions.